On January 28, 1986, the U.S. space shuttle Challenger took off right on schedule, only to explode 74 seconds later, killing all seven crew members on board in front of a horrified live television audience. Digging deeper, we find Challenger, having made 9 previous successful flights and having traveled over 25 million miles in its career prior to the tragedy. 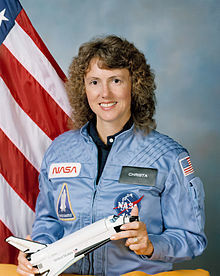 The crew, who had planned to study Halley’s Comet as part of their mission, also included a civilian, Mrs. Sharon Christa McAuliffe. Mrs. McAuliffe, who was from New Hampshire, had won a contest to become first “ordinary citizen” in space. The high school teacher became an instant celebrity as news of her participation spread all over the world. She intended to give a few Science lessons from space. The Challenger, on its 10th mission, lifted off at about eleven in the morning. Traveling at about twice the speed of sound, less than 2 minutes into its flight, an O-ring on one of the main rocket engines failed, causing fuel to leak, which then led to a fire and then to the explosion. The weather in Florida had been unusually cold, and engineers recommended the flight be postponed. Impatient officials of the National Aeronautics and Space Administration (NASA) insisted on launching anyway, and the cold is believed to have been the cause for the O-ring failure. 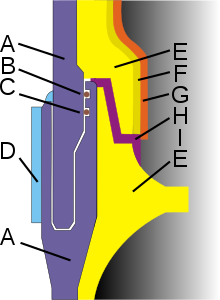 Simplified cross section of the joints between rocket segments SRB; outside to left. Legend: A – steel wall 0.5 inches (12.7 mm) thick B – base O-ring gasket, C – backup O-ring gasket, D – Strengthening-Cover band, E – insulation, F – insulation, G – carpeting, H – sealing paste, I – fixed propellant. Diagram by Kapitel (original) and Adam Rędzikowski (vector). Unfortunately, all seven crew members died in the explosion and crash. It was initially reported that the crew was killed immediately in the enormous explosion, but later it was determined that the cabin of the shuttle did not explode but detached from the rest of the orbiter, and it was surmised that the crew probably died upon impact with the Atlantic Ocean. America was devastated by the first fatal in-flight space accident, especially the many school-age children who were following the take off on TV to see the Challenger carry a teacher (McAuliffe) into space. President Ronald Reagan announced a week of mourning as a sign of respect for the crew who lost their lives for the country. NASA also postponed further space shuttle flights indefinitely. Investigations into the disaster produced conflicting results. Investigators also revealed that the engineers of the booster rockets had advised against launching the shuttle that morning as the below-freezing temperatures at Cape Canaveral were likely to damage the rockets. This disaster caused an interruption in Space Shuttle flights of over two years while NASA studied the accident and took measures to ensure there would not be another O-ring failure. Unfortunately, Space Shuttle Columbia disintegrated on reentry in 2003 as a result of having lost heat protective tiles at take off. Oddly enough, Space Shuttle Challenger was named after a British ship, a corvette that led a scientific mission from 1872 to 1876 to study marine topics (called the Challenger Expedition). All remaining Space Shuttles are retired now, and NASA is currently without a manned space craft. Questions for students: Do you have any desire to travel in a spacecraft? If so, to where? 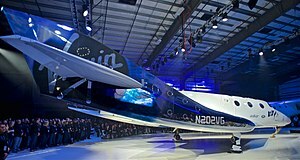 Virgin Galactic SpaceShipTwo Unity rollout, 19 February 2016, FAITH hangar, Mojave, California. Photograph by Ronrosano. Caper, William. The Challenger Space Shuttle Explosion (Code Red). Bearport Pub Co Inc, 2007. Hansen, James R. and Allan J McDonald. Truth, Lies, and O-Rings: Inside the Space Shuttle Challenger Disaster. University Press of Florida, 2012. The featured image in this article, Space Shuttle Challenger exploding shortly after take-off from http://grin.hq.nasa.gov/ABSTRACTS/GPN-2004-00012.html, is in the public domain in the United States because it was solely created by NASA. NASA copyright policy states that “NASA material is not protected by copyright unless noted“.